Italian coachbuilder Aznom Automotive has turned the brute strength of pickup trucks into accommodations with all the trimmings of a jet-set lifestyle in lieu of a rugged one with a 220,000-euro ($260,000) luxury "sedan" which it calls the Aznom Atulux. 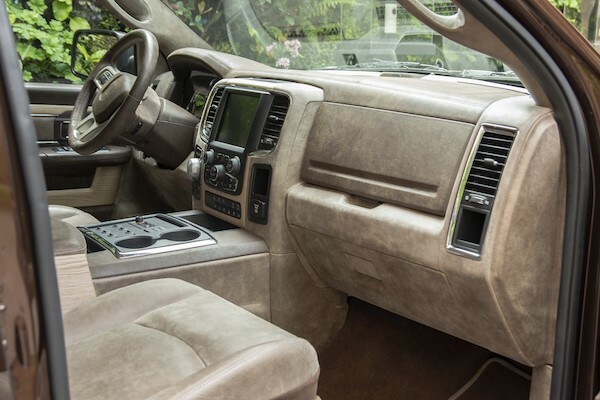 It is built on a Ram 1500, which, though built as a workhorse for towing, hauling, and off-roading, makes no beef about carrying hundreds of pounds of luxury amenities within its cabin instead of several good ol' boys in the bed. Aznom constructed this brown behemoth with rear set leg room expansive enough to host Burning Man, and an interior trimmed with half the Amazon Rainforest and its occupants. 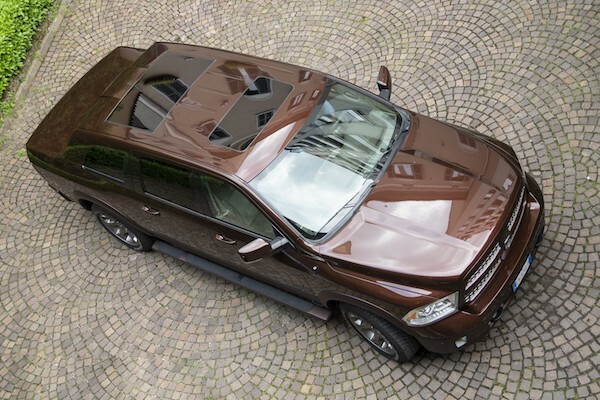 Gone are the Fiat Chrysler-standard plastics, replaced by leather, alcantara, or wood on almost every surface. 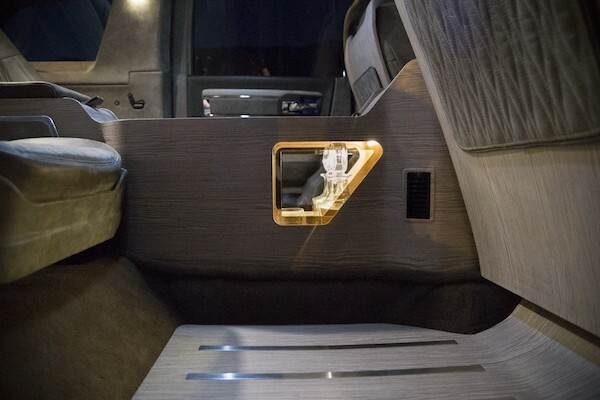 The back seats feature entertainment and libation for all types. Improved sound deadening, a pop-up Nespresso machine hidden in the center console, and integrated Xbox One with fold-down 17-inch screens cater to the ostentatious introvert, while the champagne cooler and 1200-watt, 10-speaker stereo system entertain the extrovert. Both can make good use of the leg room, and both front and rear seats control their own sunroofs and air conditioning systems. 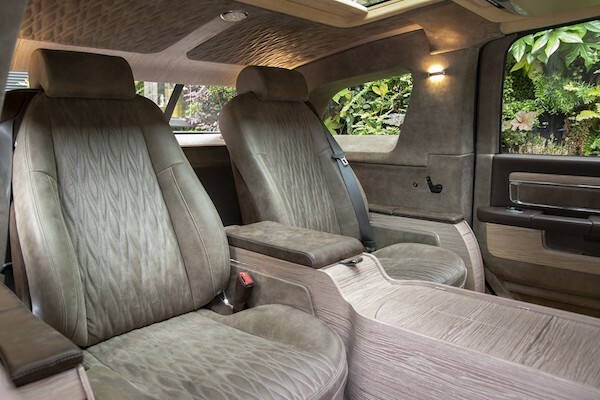 Aznom states on its website that interior trim specification can be customized based upon desired styles of leather, wood, and finishes, though the company has not yet responded to The Drive's inquiry as to how far individual customization options go. We wonder if they'll do an interior stitched together from the faces of cane toads and polished driftwood, and an ice cream maker in place of the champagne cooler. Given a big enough wad of cash waved in their faces, maybe they will.